Let’s talk about last weekend though. 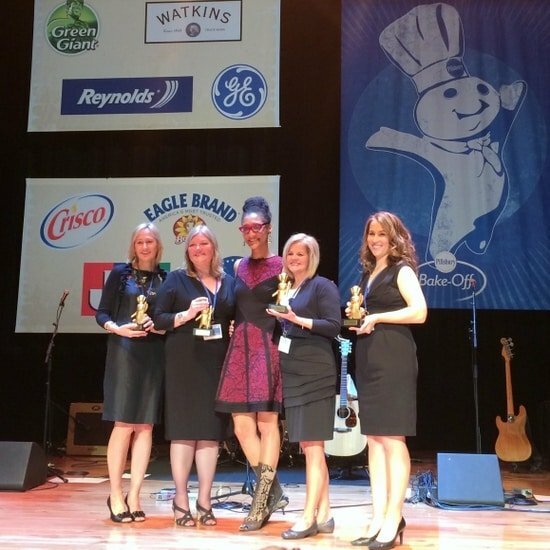 I was given the awesome opportunity from Pillsbury to attend the 47th Pillsbury Bake-Off® Contest! No, no not as a baker, but as a blogger. Yup, this girl got a press pass and everything. How cool is that?!? I seriously love my job!!! Most people know what the Million Dollar Bake off is, but let me just recap the requirements. Anyone can enter (unless you are a food professional) a recipe. Now the recipes have requirements. 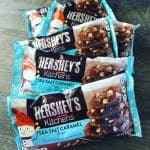 They have to only have 7 ingredients, and they have to include a Pillsbury dough product and a sponsor product. Then the judges narrow all the submissions down to 100 contestants who come bake their recipe for a panel of judges. As you look at this picture of contestants marching around the room, imagine you hear the country music that accompanied them. 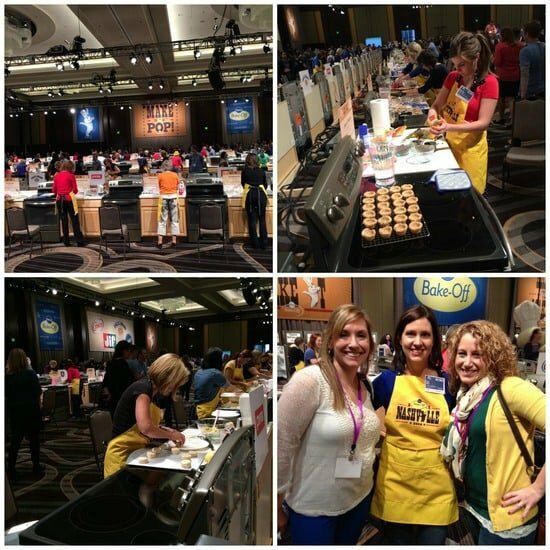 The room was so full of excitement as these 100 awesome bakers made their way around the room. I remember watching this happen on TV when I was younger, so to experience it live was so amazing. Seriously, I had to will myself not to cry as I watched these proud contestants make their way to their stations. It was a dream come true moment for sure. The bakers got started right away on their recipe. They are given enough ingredients to make their recipe 3 times. Then they can decide which batch looks the best to submit to the judges. After they had been baking for about 30 minutes, they opened the floor for the press to wander around. It was so fun to be right there in the middle of all the excitement. Although at times we worried we were in the way, so we tried to stay back and not bother them too much. The contestants have 3 hours to bake their recipe and get it to the table for submission. Each baker had a “runner” who would get them ingredients or pans or clear the floor when they were walking their recipe to the table. As time went on, you could see the nerves start to disappear from the contestants. 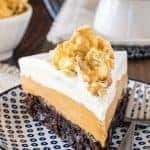 I was able to chit chat with a few of them about their recipe, how many times they had been there before, and how many recipes they entered to make it here. 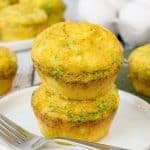 I was in awe at the number of recipes people submit to contests like these. We are talking like 20-30 some recipes, sometimes more. That’s a lot of recipe testing!!! I also got to squeeze the Dough Boy while I wandered the floor. Isn’t he the cutest? I think Dorothy is right…this is total street credibility in photo form 🙂 This needs printed and framed for my desk for sure! Now for some taste testing…let me tell you these were all so good. Remember I said the bakers make their recipe 3 times, but only 1 gets submitted. The other 2 get cut up and put out for everyone to sample. You had to be quick because some of these disappeared so quickly. I had a chance to meet and hang with Meagan this weekend. She is so friendly and sweet! 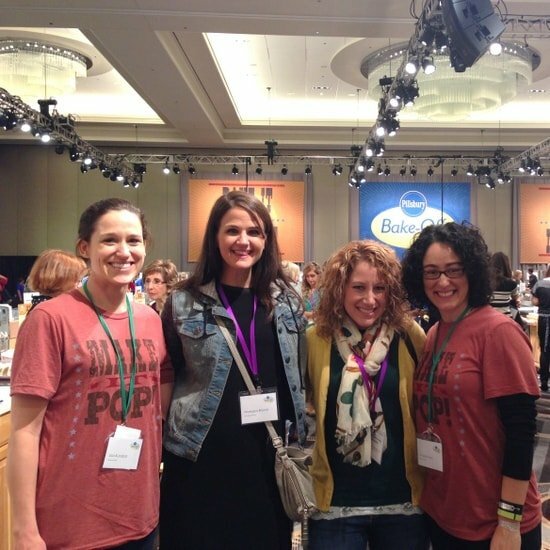 As we walked the floor, we also had a chance to meet some of the Pillsbury social media team. These are the girls who see the recipes that bloggers submit. It is always so nice to put a face with the people you work with. I spent most of my weekend hanging out with this girl. You all know Dorothy from Crazy for Crust, right? 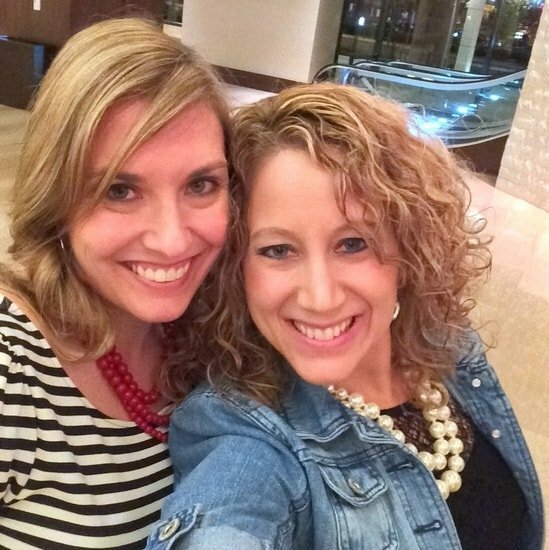 She is seriously the sweetest and one of my blog BFF’s. Now for the winners. 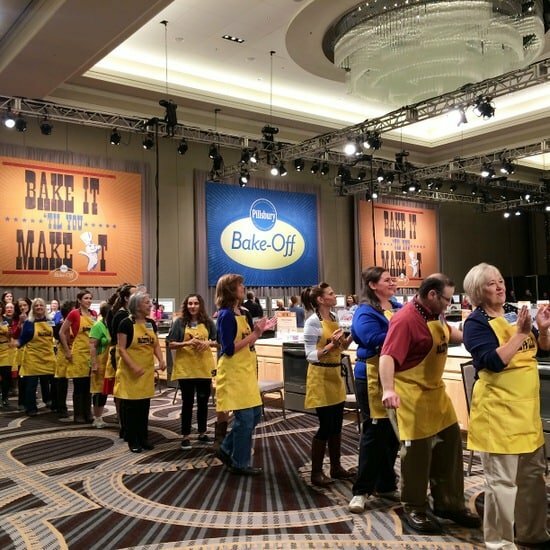 100 bakers compete for the million dollar prize. At the award ceremony prizes are given for sponsor prizes first, and then they announced the final 4. There is one from each category. 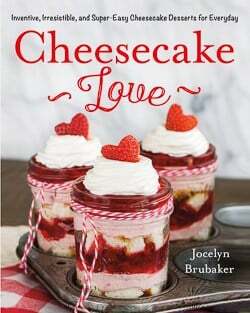 The categories are: Weekend Breakfast Wows, Savory Snacks and Sides, Amazing Doable Dinners, and Simply Sweet Treats. These ladies won a cash prize, some appliances, and the chance to run for the big dog prize. This year you get to help decide the winner. 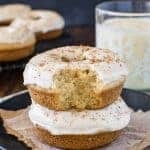 I had the opportunity to taste each of these recipes at a special tasting, and they are all so good. 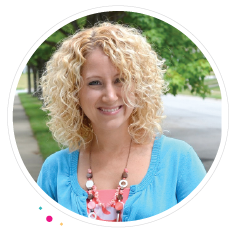 Your online votes will get combined with the judge’s vote, and one grand prize winner will be announce by Carla Hall on The Chew on December 3. Now for some other fun things that happened in Nashville. 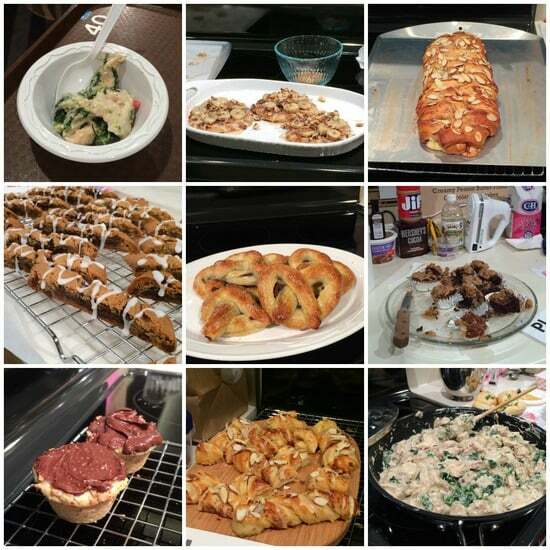 We went to a GE presentation and got to do a mini bake off using their new Advantium ovens. 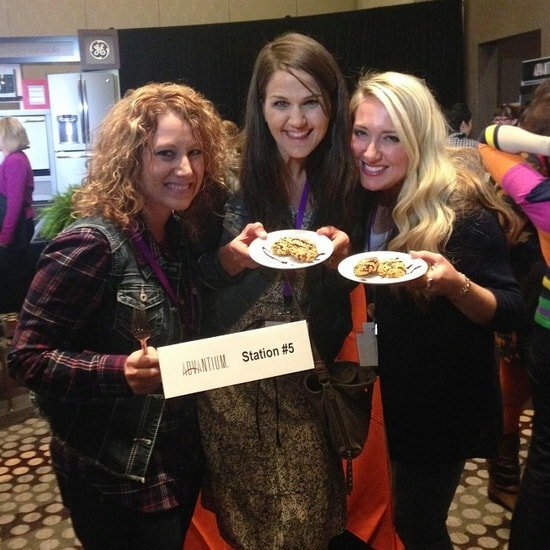 Here are Meagan and Jenny and I with our cookie submission. 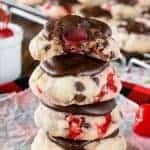 We had so much fun putting these together…mostly because we think the ingredients they gave us were missing something, so we couldn’t stop laughing. And of course we had to check out some local food. It’s the right thing to do when you are in a new city with other food bloggers. We got in line for some life changing chicken early. Let’s just say it was amazing!!! I want to go back for more sometime. The foodies that went to Hattie B’s with me are: Dorothy, Carrie, Lori, Gerry, Shawn, me, and Jocelyn. We all agreed hands down this was fantastic chicken. I also inhaled goat cheese stuffed peppers and grilled shrimp at The Silly Goose. Then we headed to Jeni’s Ice Cream where I sampled a few kinds before deciding on Coffee and Salted Caramel. I’m kind of wishing I had gone back for a few more flavors. Next time for sure. 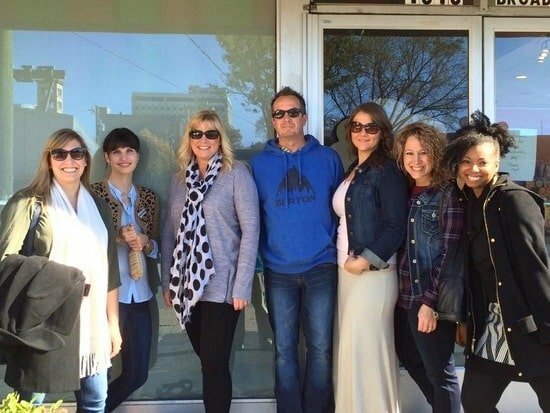 A group of us went to Pinewood Social for brunch before heading home on Tuesday. They have a swimming pool, bowling alley, and karaoke along with coffee and a restaurant. The atmosphere was so cool there. We ordered breakfast…and dessert. 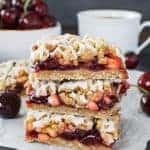 Dessert for breakfast should really be a real thing. I had the Nutella Mousse…oh, yeah I’m going to recreate a version of it very, very soon. 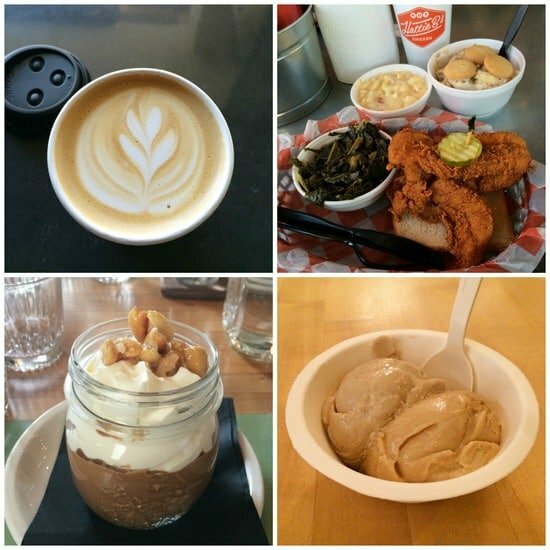 I had so much fun site seeing food eating in Nashville for a few days. And even more being part of the Pillsbury Bake-Off! 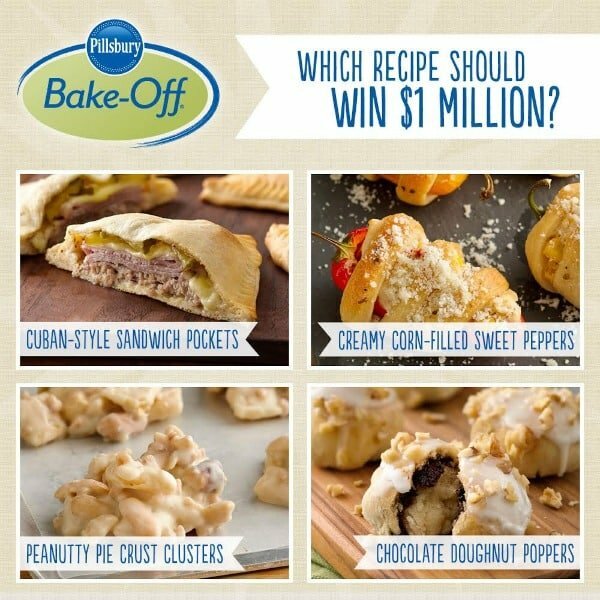 Make sure you vote for your favorite recipe!!! 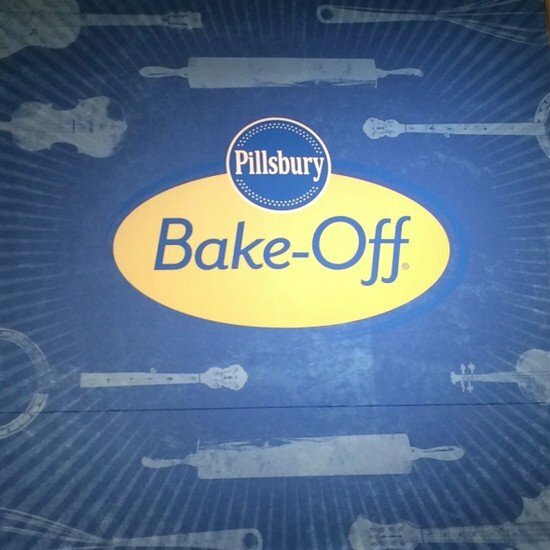 Disclosure: Pillsbury invited me to attend the 47th Annual Pillsbury Bake-Off ® Contest. This was not a compensated event, but Pillsbury did pay for my travel and hotel. Looks like you had a great time – so want to try some of that chicken after seeing so many of you post about it! It was incredible! It’s a must have if you’re ever in Nashville! What a trip, how fun! 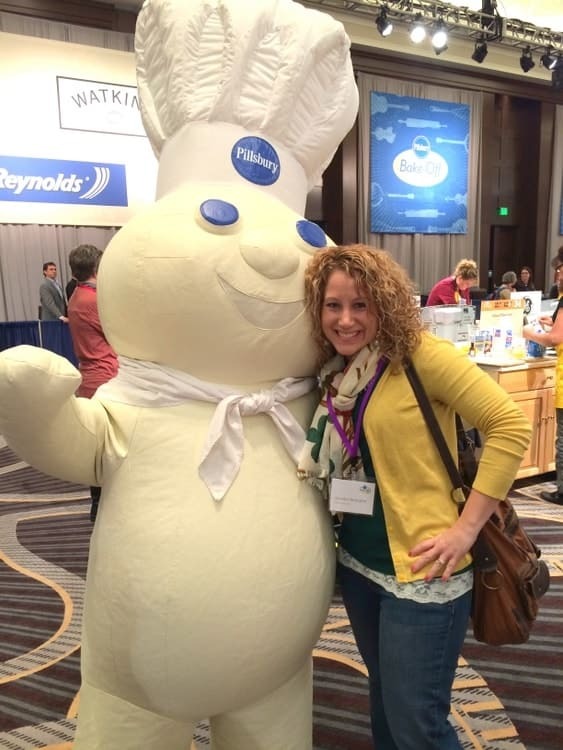 Love your picture with the dough boy! My votes for the sweet peppers or the donut poppers, I can’t decide! Sounds like you had so much fun! Those winning recipes look incredible. Yes. Yes, I am! 😉 Thanks, girl! Very nice post! Cute pics too. Did you get to try the chocolate filled pretzels? They were all gone when I got there. They looked so good! I always think this is such a fun event!! It was so awesome hanging with you my friend! I can’t wait for the next time! Oh my goodness, you’re such a sweetie, too! 🙂 I can’t wait for the next time that we get to hang out! It definitely was! 🙂 I had so much fun!